We recently noticed that our online press centre is in need of some serious love and attention, as a number of basic features are missing. With this in mind I thought I’d compile a post that we can use internally to make some improvements. There are a surprising amount of ‘basics’ that I think are key components of any online press centre. Some of my points aren’t going to apply to all companies, and others aren’t strictly necessary, but as a rule – and speaking from the perspective of a former journalist – I’d say around a dozen of the following points are essential. About. All websites need an ‘About’ page. It’s one of the first things a journalist will look out for when looking for information on your company. Company history. Why not include a timeline of the company’s development, from inception to the present day? Key facts. Help writers to flesh out articles with some (fast, and up-to-date) facts. Basics might include things like revenue, profits, number of employees, number of stores, unique users, etc. Comet, which has a fine press centre, shows us exactly how to do this. Team. Include profiles of founders and key executives, with relevant links and details on how to contact them (use a form if the idea of displaying your CEO’s email address gives you The Fear). Media contacts. Names, telephone numbers, emails, etc. BP displays pictures of its press officers, but – for reasons that may be somewhat self-evident – stops short of allowing journalists to contact them directly. Press releases. Include your latest press releases, in HTML format. PDFs and Word documents should only be available only in addition to news displayed as web pages. Don’t make journalists jump through hoops to read about your latest developments. Company news. Press releases are formal, whereas a company-focused blog tends to provide you with a softer way of sharing news. If you have a blog then why not display a list of the most recent headlines? Note that some blogs might not be suitable… it depends on subject scope. Image gallery. If a journalist wants to include a picture to accompany an article then you should try to make it easy for this to happen, and on your terms, using your images. Otherwise the journalist will roam around Google Images or Flickr to find something suitable. Images of key personnel, products, stores, etc, should be made available for download. Some organisations, such as MoMA, have password-protected this area (I’m not exactly sure why this approach necessary). Brand / creative assets. This follows on from ‘Image gallery’. Logos are often used as part of features and you’d much rather provide a high-res version than a slightly pixelated and off-colour version plundered from some other website. Events calendar. Do you run events? Are any of your executives speaking at third party events? Appearing at any conferences? Shout about it via an events calendar. It can help you to connect with journalists (who also attend events). Benetton provides a good example of how to go about this, and note the ‘reminder alerts’ it offers to journalists. Search. Make it easy for journalists to search through your press centre, with a dedicated search tool (as opposed to a site search tool). ‘In the news’. Compile a curated list of headline links to stories about your brand that have recently appeared in the press. Blinkx is one firm that isn’t shy about doing this. Social media profiles. Include links to Twitter, Facebook, YouTube, Flickr, etc. You can also pull in content from these sites to display in your press centre, if appropriate. Subscribe. Allow journalists to tune in to your updates, by email or RSS. Videos. Text-based press releases are one way of communicating news, but rich media can play a part too. Relevant videos might include keynote speeches, AGMs, interviews with the media, etc. Remember to use a widely accessible format for videos (Flash is installed on 96% of browsers, whereas Microsoft Silverlight hasn’t yet achieved 70% market penetration, according to riastats). Awards. What have you won lately? Shout about it in your media centre. Investor relations. Investor relations is – as the label suggests – aimed at investors, though financial (and other) journalists will often frequent this area of a website. Public companies often align investor relations with their press centres, making annual and interim reports available for download, displaying the latest share price and outlining the shareholder structure. Corporate social responsibility. Like investor relations, this is a bigger, broader topic that isn’t just reserved for the press. Nevertheless, journalists like to understand a company’s values, just as customers do. 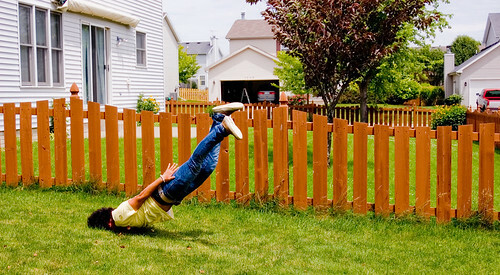 Is Saatchi & Saatchi’s graduate challenge one big social media faceplant? Global advertising behemoth Saatchi & Saatchi is challenging wannabe Don Drapers to sign up to a social media challenge, as part of its annual summer scholarship programme. Graduates interested in working for the firm have been invited to generate as many new Twitter followers and retweets as they can in the next eight weeks. Create ONE new Twitter page. The objective is to get the highest Twitter rating and social influence as possible before the deadline. The top 250 participants will then make it through to the next round. The firm is measuring success on the basis of the number of followers, updates (tweets), retweets and @mentions. Despite Facebook having its roots in universities, the education sector has an uneasy relationship with social media. Humans appear to be hardwired to tune into lists, judging by our Google Analytics data from 2010. Half of Econsultancy’s most popular 25 posts were lists, including nine out of the top 10. I don’t subscribe to the idea that lists are somehow inferior to articles with lots of dense multi-idea paragraphs. Either the content is good, or it’s not. The list format is precisely that: a format, a simple framework for communicating ideas. So here, in no particular order, are 10 reasons why readers and publishers love lists, and why they work so well online… and yes, my tongue is firmly planted in my cheek as I’m writing this.